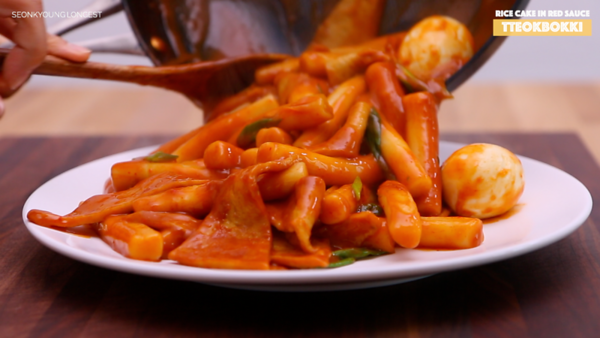 Home Entree	Tteokbooki Recipe & Video! 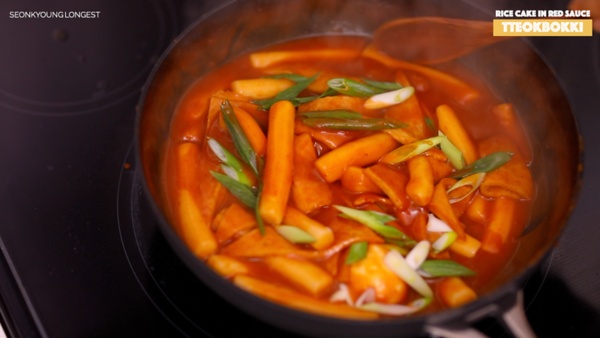 Tteokbokki is probably one of the most popular Korean food along with bibimbap and bulgogi. 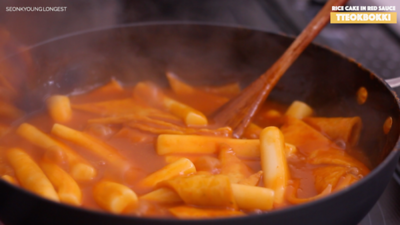 Tteokbokki is always show on Korean dramas and movies, because it is our #1 snack in Korea! 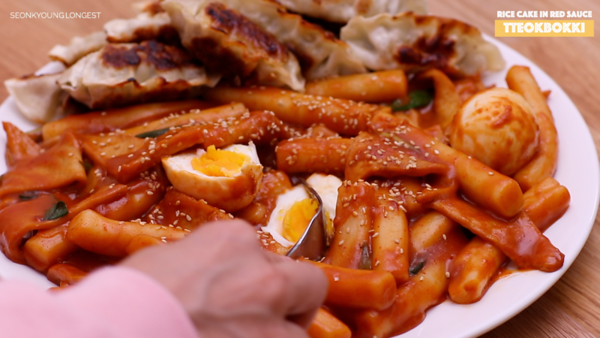 Oh, Tteokbokki is also #1 Korean street food too! 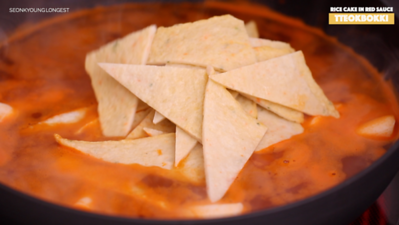 In a medium size mixing bowl, fill up with warm water and add rice cake. 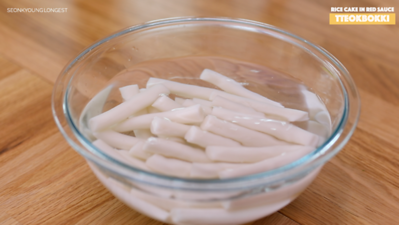 Soak rice cake for 20 minutes. Meanwhile, combine Korean ultimate stock, gochujang, soy sauce and sugar. Bring it to boil over medium high heat. Korean ultimate stock has lots of flavor form onion, garlic, peppercorns dried shiitake, green onions, dried anchovy and dried seaweed. Check out my recipe because it will be my first choice for this recipe but you can also use chicken stock! 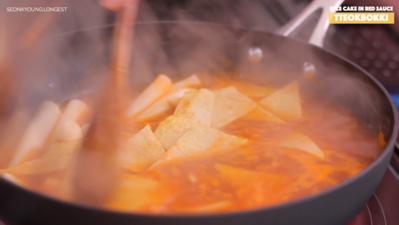 Drain the rice cake and add into the boiling sauce along with fish cake. Keep cook over medium high heat for 10 minutes, stir frequently. 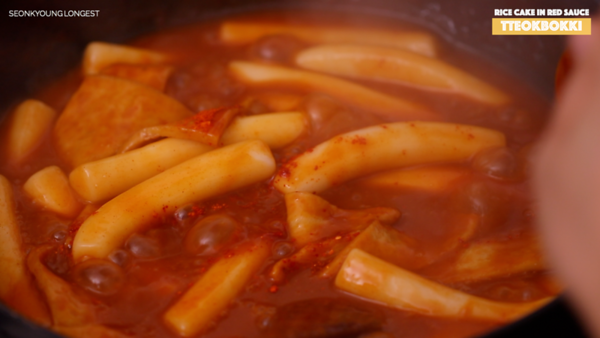 Rice cake is easily stick to the bottom of the pan when it’s cooked in sauce or liquid. Add gochugaru, Korean red pepper flakes if you want more kick. It’s definitely optional. 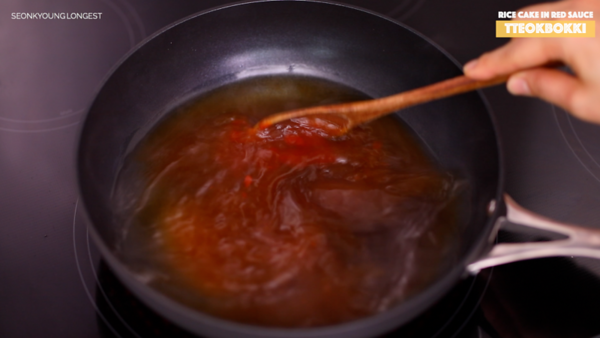 When the sauce is thicken, toss in boiled egg and green onion. Serve immediately and garnish with sesame seeds. Serve with fried dumplings, if you like! Meanwhile, combine stock, gochujang, soy sauce and sugar. Bring it to boil over medium high heat. Serve immediately and garnish with sesame seeds. Serve with fried dumplings, if you like! Enjoy! Yum!!! I can’t wait to try this! Can this be refrigerated and reheated? Or should be eaten right away? Eaten the same day is the best. 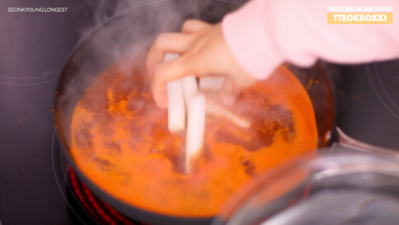 when it’s refrigerated and reheated, most of the sauce will gone and dry, cuz rice cake will soak it up all- like noodles! My husband is allergic to fish is it possible to make it without the fish cake? Or would you suggest something else other than fish cakes? Of course you can! 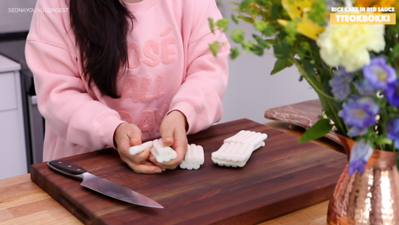 you can make only with rice cake or addition of any protein you like! I love your vlogs!! what fish cakes do you like? i can’t wait to make this! !